Our Avian & Exotic veterinary service provides emergency and critical care to your clients’ pets. Our veterinarians are available by appointment for annual examinations, wellness care, and husbandry consultations guiding you to provide proper dental care, environment, and nutrition for your pet. Our facility includes a dedicated avian and exotics ward that is spacious and bright with temperature controlled cages that allow us to monitor your pet’s condition while minimizing stress. Our recommendation is to have your exotic pet examined yearly. Please bring your pet in an appropriate carrier to avoid unfortunate accidents and escapes. Rabbits & Rodents – since dental problems are common an oral exam and possible trimming of the teeth is essential. Because external parasites are frequently found, the skin and ears will be carefully examined. Spaying and neutering is available and highly recommended for these pets. Ferrets – vaccinations are routinely given to these pets. Spaying is essential for the female to prevent fatal anemia. Adrenal gland disease and pancreatic tumors called insulinomas are commonly encountered so your veterinarian may recommend testing for these problems. Companion birds – at the yearly exam, beak trimming will be performed if indicated. Blood work is often performed at the annual visit since birds are susceptible to respiratory, liver, and kidney disease. Nutrition is extremely important in birds and appropriate recommendations will be given. 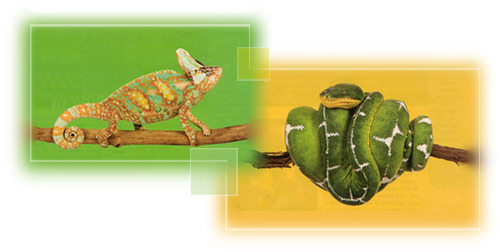 Reptiles – as with birds, nutrition is very important in reptiles. 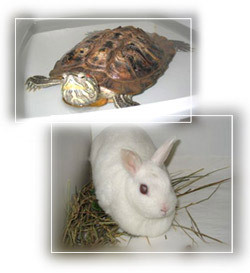 Providing a proper cage environment is necessary to prevent infectious diseases and parasites. Appropriate recommendations will be given by your veterinarian at the annual examination.